LIVE IN YOUR PRIVATE PARK WITH FORESTED MEANDERING CREEK and freshly finished pool. Creekside deck & scattered patios provide endless opportunities for lounging & entertaining. The clean lines, high ceilings, open space & walls of glass unite the home with the landscape, creating a uniquely contemporary urban oasis. The approximately 3, 500 square feet of living space includes four bedrooms & three full baths, all were updated in 2018. 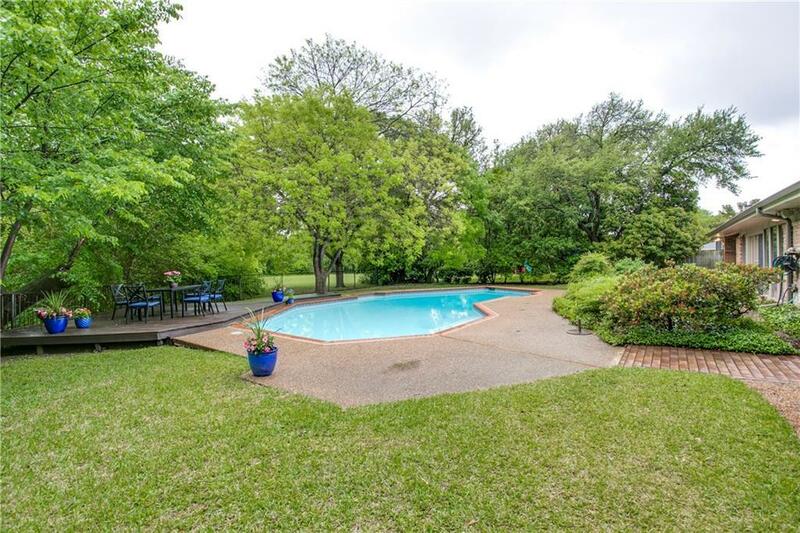 This secluded street is located in a prestigious area of Prestonwood, convenient to LBJ, Dallas N Tollway, G Bush Turnpike, making it easy to get anywhere in the metro area. Addison and all its wonderful restaurants & entertainment are only minutes away. RICHARDSON SCHOOLS!